View Cyber Security in 2019 on Notist. Belfast City Centre Management are hosting a Cyber Security Seminar which will explore the rise in cyber-crime and give you the tools and knowledge you need to protect your business. Speaker One - Sam Kinkaid, PSNI Cyber Crime Centre Detective Constable Sam Kinkaid from the PSNI Cyber Crime Centre, has vast experience of the world of cybercrime. 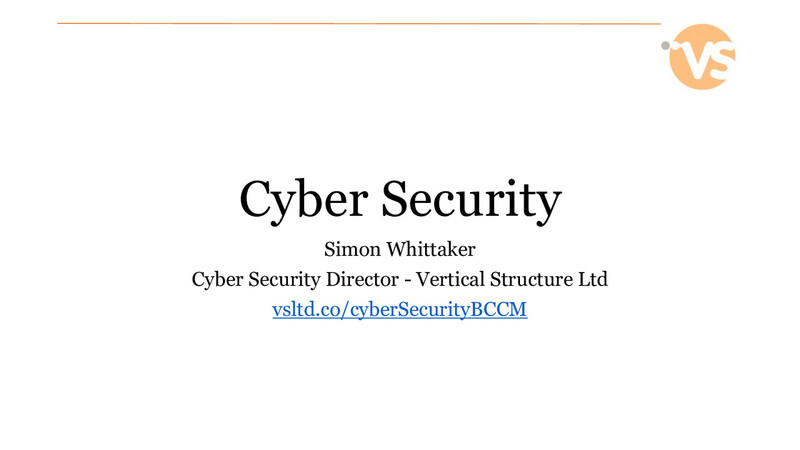 Speaker Two – Simon Whittaker, Vertical Structure Simon provides security services & security training to organisations of all sizes, his strong background in both development & System/Network Administration provides a great view on how best to both compromise and secure required services & applications.